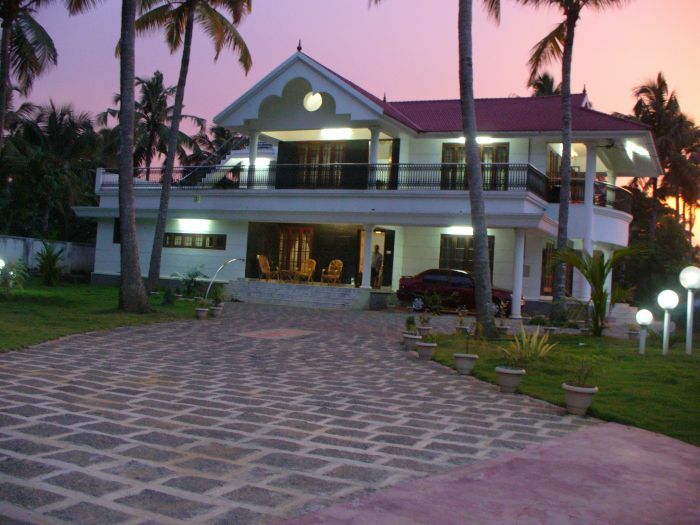 Our Home stay Kerala is very near to the Cochin International Airport at Nedumbassery, just 15 minutes drive. The route is via Aluva - Alangad - Kongorpilly. Our homestay in Kochi (Cochin), Kerala is only walking distance from the highway NH-17. Those traveling by train can get down at Aluva Railway Station or Ernakulam Town or Ernakulam Junction Railway Station, at Kochi/Cochin. We provide pick-up and drop at airport or railway station on request. The popular destinations of Cherai Beach, Chendamangalam, Kodanad, Periyar river, Varapuzha river, Fort Kochi, Mattancherry, Alappuzha, Punnamada, Kumarakom, Munnar, Thekkady, Kovalam, Wayanad and so on are within easy accessible distances from our Kerala homestay. Your destination Southern India tour enable you to enjoy the mesmerizing tourist attraction, tourist spot or site in India which is of Kerala, which is considered to be one of the God's own country travel paradises of the world. The national geographic has selected Kerala as one among the world’s 50 greatest places of the world. The History of Kerala with its balanced climate, diverse topography and irresistible foliage, a lengthy shoreline having beautiful beaches, long range of attractive backwaters, alluring hill stations, waterfalls and exciting wildlife, Ayurvedic health treatments (What is Ayurvedic Medicine), various enchanting culture dance and arts, temples, festivals and traditional and cultural monuments offers one with a Kerala magical odyssey travel experience. So travel/tour to Kerala in India for your holidays/vacations this year. 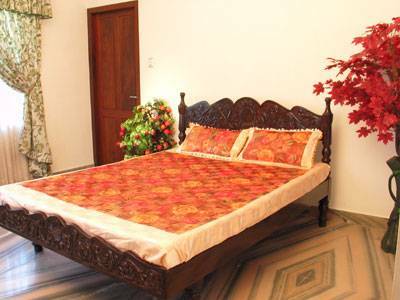 Our Homestay Kerala has clean and hygienic A-class large spacious double ensuite cozy rooms with modern amenities. All windows of our Kerala homestays/ Bed and Breakfast accommodation/lodging in Kerala-India have view to the paddy fields and the garden allowing enchanting views from the rooms. All rooms of our Kerala home stays have excellent cross-ventilation to enable air to enter the rooms and also have appropriate lighting. All the bedrooms of our home stay Kerala accommodation/lodging have AC fitted in them and can be made AC and Non-AC rooms as per the need of the guests. All our Kerala homestay/ Bed and Breakfast ensuite bedrooms are above 200 sq. ft. All rooms have clean floor surface and are in excellent condition. 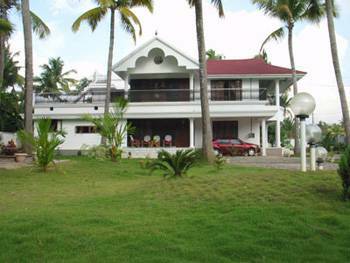 All our home stay Kerala bedrooms have family cots with bed and extra beds are provided at reasonable extra charges. 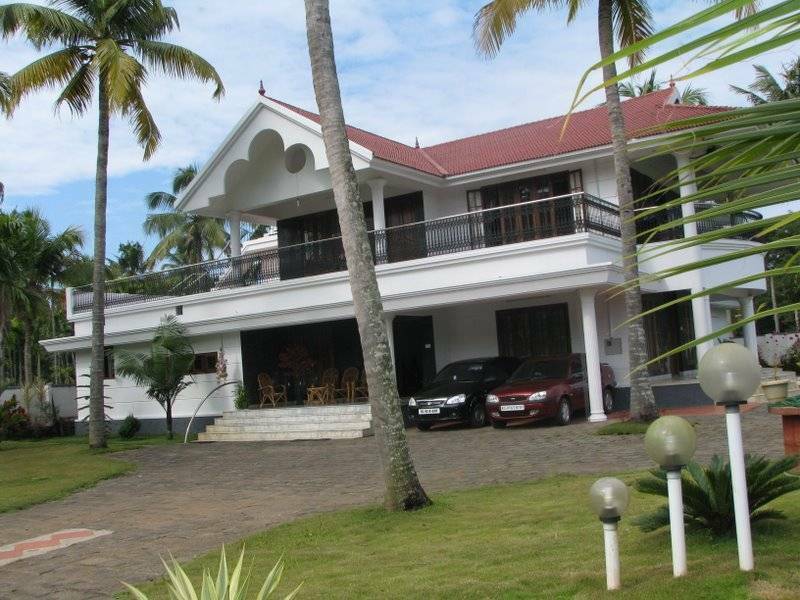 Thus each bedroom at our Bed and Breakfast/homestay Kerala-India accommodation/lodging can accommodate two persons or at the maximum four persons. 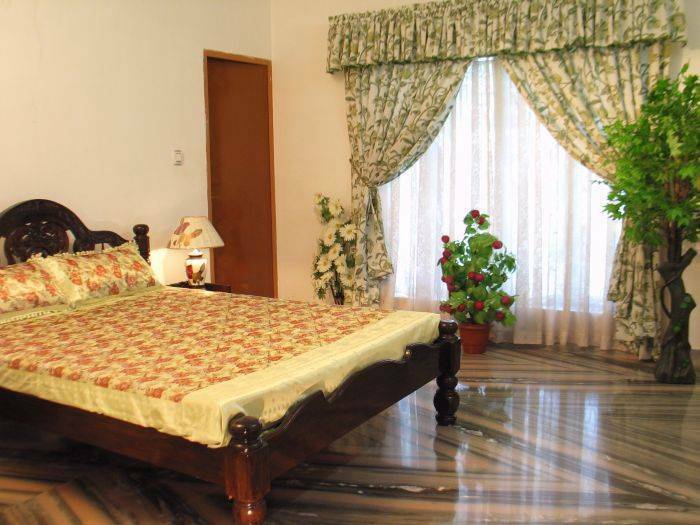 A writing table and chair, two bedside drawers and dustbins are provided in all bedrooms. Curtains, bedcover, sheets, pillow and blankets (In AC rooms) are provided in all our Kerala homestays accommodation/lodging bedrooms. All bedrooms of our Kerala Home stays/Bed and Breakfast have ensuite Western type WC bathrooms. Hot and cold water is available 24 hours. There is a clothes-hook and sanitary bin in each bath/shower room of our home stay Kerala. Our posh ‘Swapna Koodaram Kerala Village Home stay’ has 3 well-furnished living rooms, with one living room being combined with the dining hall. The popular destinations of Cherai Beach, Chendamangalam, Kodanad, Periyar river, Varapuzha river, Fort Kochi, Mattancherry, Alappuzha, Punnamada, Kumarakom, Munnar, Thekkady, Kovalam, Wayanad and so on are within easy accessible distances from our Kerala homestay. 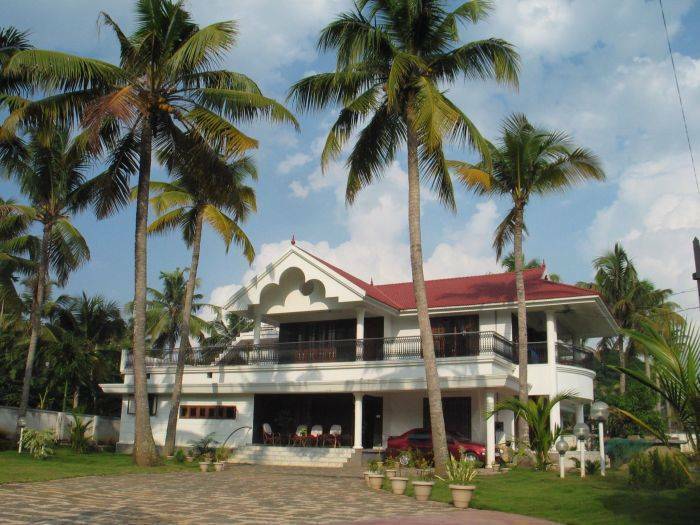 Our Home stay Kerala is very near to the Cochin International Airport at Nedumbassery, just 15 minutes drive. The route is via Aluva - Alangad - Kongorpilly. Our homestay in Kochi (Cochin), Kerala is only walking distance from the highway NH-17. Those traveling by train can get down at Aluva Railway Station or Ernakulam Town or Ernakulam Junction Railway Station, at Kochi/Cochin. We provide pick-up and drop at airport or railway station on request.